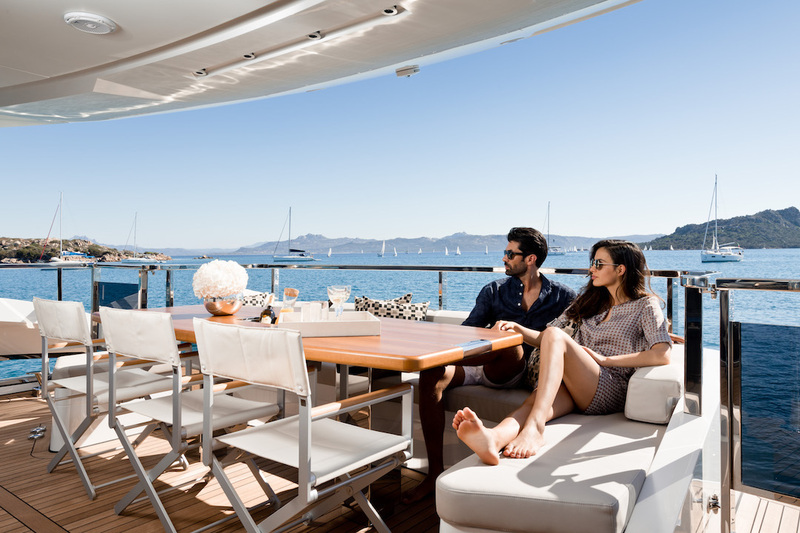 So you’ve moored in Marina di Portofino with your superyacht ( def: commercially operated luxury yacht (motor or sail powered), which is professionally crewed and has a load line length of 24 meters and above…), and a supermodel party goer asks you about that “little bubble thing over there..” Casually, you mention that’s your latest on-board toy, a submarine, and would she like to go for a spin. Sooner or later, your guests will get bored with your swimming pool, fitness center, full scale theater, and yes, even the waterfall. Saving you from some such embarrassment, Aston Martin and Triton Subs have joined forces and announced successful completion of the design phase for Project Neptune, and the commencement of the first production model ahead of its public unveiling later this year. For a vehicle to wear the iconic Aston Martin wings, it must be equipped with all the performance, beauty and elegance one has come to expect from the British marque, and I guess that now includes underwater as well. 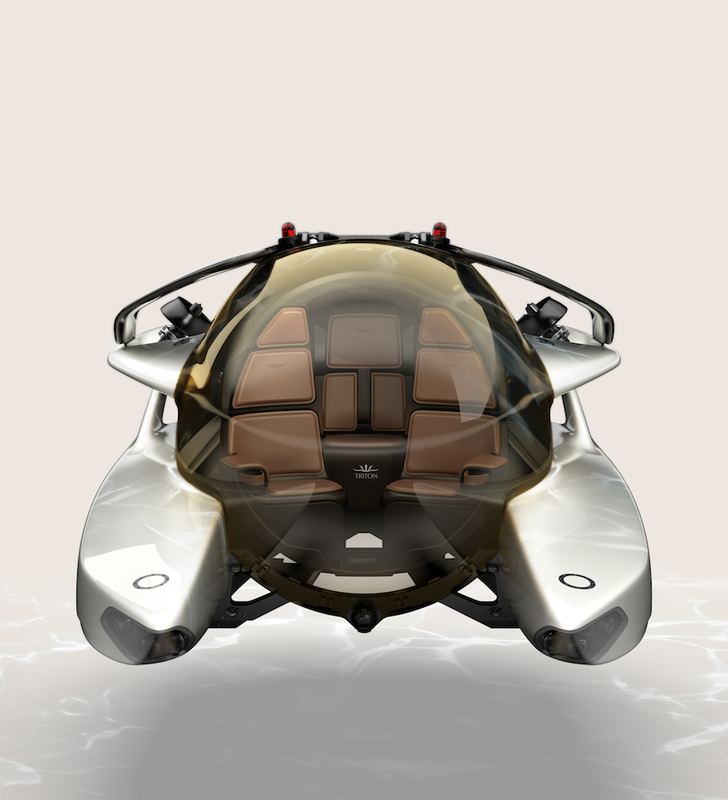 The mini-sub will be able to dive to depths of 500 metres and carry two passengers and a pilot, and while no 0-60 times were included in the media kit I received, the submersible will have an anticipated sprint speed in excess of 5 knots. Launch control was not mentioned. 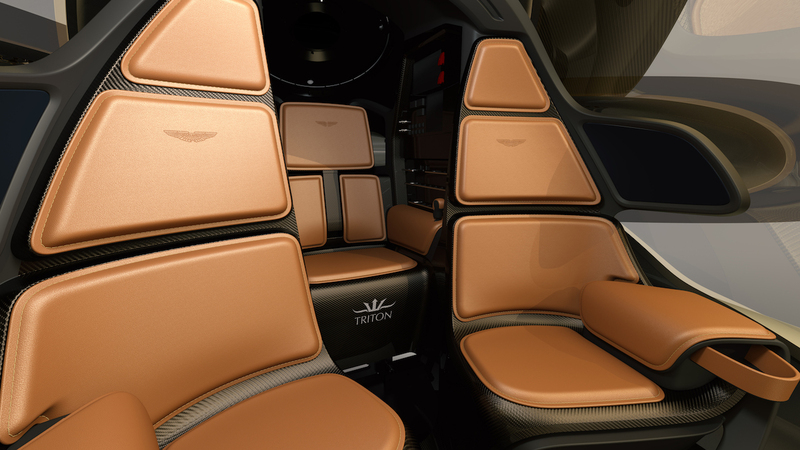 Marek Reichman, Aston Martin EVP and Chief Creative Officer commented: “The exterior design of Project Neptune owes a lot to the pursuit of performance. As with the Aston Martin Valkyrie, the hyper-car we are developing with Red Bull Advanced Technologies, we have afforded as much attention to the hydrodynamics of the underside as we have the visible surfaces…. Those wishing to secure one of the remaining build-slots for Project Neptune should contact either their preferred Aston Martin dealer or their nominated Triton Submarine’s representative. If you have a super yacht, please contact me. Priced at about $3.3 Million and available fall of 2018 means plenty of time to do a little housekeeping. Maybe start with having the crew push your helicopter over the side?